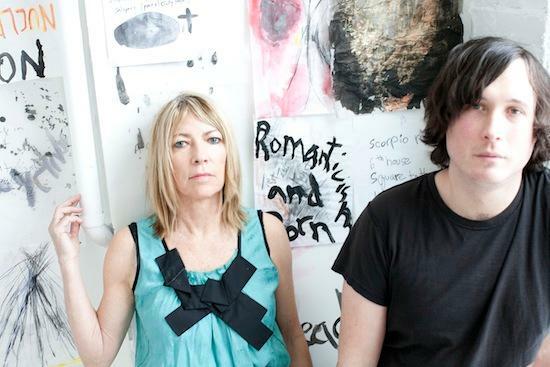 Body/Head, Kim Gordon and free-noise guitarist Bill Nace's experimental duo, will be playing this year's Yoko Ono-curated Meltdown festival on June 20. The festival, taking place at the South Bank Centre in London from June 14-23, also features Siouxsie, Iggy And The Stooges, Savages, Immortal Technique, Patti Smith, Alva Noto & Ryuichi Sakamoto, Marianne Faithfull & Bill Frisell and Boy George among others - for full details, head to the festival's site and have a look at its trailer at the foot of the piece. You can get hold of tickets here; however, we've got a pair of tickets to give away to one lucky reader. To be in with a chance of winning e-mail your answer to the following question to comps@thequietus.com, with BODY in the subject line, by 10am Monday 17 June. To read the Quietus Competition terms & conditions, click here. What was the name of the single Body/Head released last year?